For other uses, see Old Lutheran Church. Old Lutherans were originally German Lutherans in the Kingdom of Prussia, notably in the Province of Silesia, who refused to join the Prussian Union of churches in the 1830s and 1840s. Prussia's king Frederick William III was determined to unify the Protestant churches, to homogenize their liturgy, organization and even their architecture. In a series of proclamations over several years the Church of the Prussian Union was formed, bringing together the majority group of Lutherans, the minority of Reformed. The main effect was that the government of Prussia had full control over church affairs, with the king recognized as the leading bishop. The legacy of Old Lutherans also survives in the Independent Evangelical Lutheran Church in modern Germany. ✪ Soup-Cam Interview with Pr. Kachelmeier: Is Islam a Christian Heresy? In 1799 King Frederick William III of Prussia issued a decree for a new common liturgical Agenda (service book) to be published, for use in both the Lutheran and Reformed congregations. To accomplish this, a commission to prepare a common agenda was formed. After more than 20 years of effort, a common liturgical agenda was finally published in 1821. The agenda was not well received by many Lutherans, as it was seen to compromise in the wording of the Words of Institution, to the point where the Real Presence of Christ in the Eucharist was not proclaimed. The liturgical agenda was subsequently modified to appease many of the objections of the dissenting Lutherans, and in 1830 Frederick William ordered all Protestant congregations in Prussia to celebrate the Lord's Supper using the new agenda. In defiance of this decree, a number of Lutheran pastors and congregations continued to use the old liturgical agenda and sacramental rites of the Lutheran church. Among the leaders of the Old Lutherans was Johann Gottfried Scheibel (1783-1843). 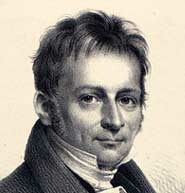 Scheibel was a professor of theology in Breslau from 1818 until 1830 when he was suspended from his post for his dissenting views. After Scheibel, Eduard Huschke became the leader of Old Lutherans. Other famous Old Lutherans included Henrik Steffens, H. E. F. Guericke, Kahnis and Rudolf Rocholl. Union also caused a confessional Lutheran counter-reaction called Neo-Lutheranism. Old Lutherans formed several synods (e.g. in 1841 the Evangelical Lutheran Church in Prussia, seated in Breslau, officially recognised on 23 July 1845), which through various mergers eventually resulted in the present-day Independent Evangelical-Lutheran Church (SELK). The first Lutherans to come to Australia in any significant number were immigrants from Prussia, who arrived in South Australia in 1838 with Pastor August Kavel. These immigrants created three settlements at Klemzig, Hahndorf, and Glen Osmond. In 1841, a second wave of Prussian immigrants arrived, led by Pastor Gotthard Fritzsche. His group settled in Lobethal and Bethanien. The Lutherans in Western Australia established the Killalpaninna Mission (Bethesda) Station at Cooper's Creek. Johann Flierl, the pioneer missionary of German New Guinea, served there for seven years (1878-1885). When he left for Kaiser-Wilhelmsland in 1885, his cousin, also named Johann Flierl, replaced him at the mission. Numerous waves of Old Lutherans immigrated to the United States as well during this time period. Among them was a group from Prussia of about 1000 Old Lutherans. They were from Erfurt, Magdeburg and the surrounding area, led by J. A. A. Grabau. They emigrated to the United States in summer 1839. Grabau and his friends founded the "Synod of Lutherans immigrated from Prussia", afterward known as the Buffalo Synod. Thousands of other Old Lutherans settled in the Midwest and Upper Midwest of the United States during this period. In addition to Old Lutherans there were also Neo-Lutheran immigrants from the German Kingdom of Saxony, where there was no evangelical union. Lutheran pastor Martin Stephan and nearly 1100 other Saxon Lutherans left for the United States in November 1838, eventually settling in and around St. Louis, Missouri in the Saxon Lutheran immigration of 1838–39. These were the predecessors to the Lutheran Church–Missouri Synod. ^ "Lutherans", The New Schaff-Herzog Religious Encyclopedia, 1909, p. 81 . ^ a b "Johann Gottfried Scheibel". New Schaff-Herzog Encyclopedia. 1914. pp. 230–231. Retrieved 14 September 2013. In consequense of a polemical sermon, the same year, he was ordered to leave Dresden, and went to Hermsdorf, near by. ^ Regina Ganter, Johann Flierl. Griffith University. Iwan, William, Because of their beliefs: emigration from Prussia to Australia [Uniform title: Um des Glaubens willen nach Australien (Engl. ), 1931], David Schubert (trl. and ed. ), Highgate, South Australia: H. Schubert, 1995. ISBN 0-646-25324-7.